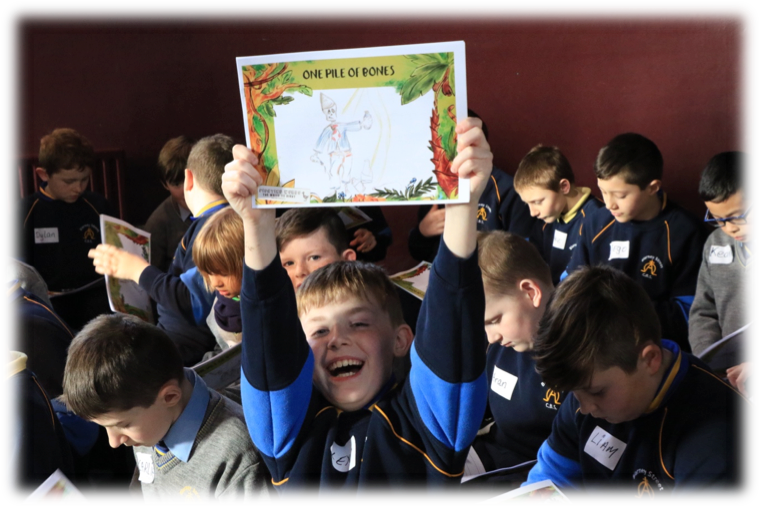 The Fighting Words programme, developed by Roddy Doyle and Sean Love, was brought to Cork by Graffiti Theatre Company in 2017, to support creative writing among children and young adults. During these two-hour workshops, students develop a collaborative story while an Illustrator brings their ideas to life. Their individual tales are taken to our Editor McConkey for publication! The process involves a lot of laughs and draws out the marvellous ideas the students have, with Graffiti’s Writing Tutors supporting their individual development of the story ideas. Find out more about Fighting Words here.